- Augusta Adult Nylon Coaches Jacket. - Reinforced slash front pockets. 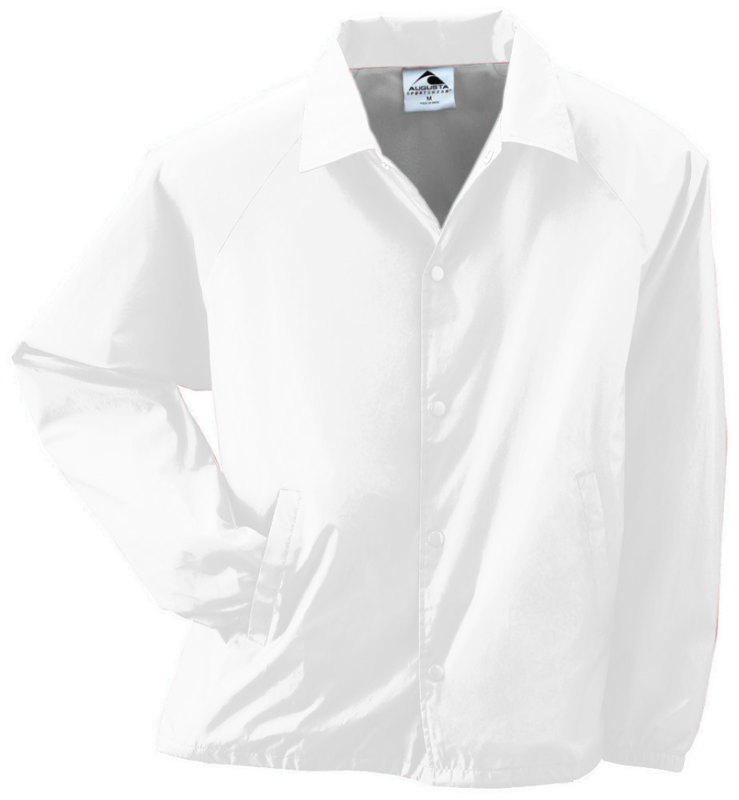 Augusta Adult Nylon Coaches Jacket.Outer shell of 100% nylon taffeta, lined with 100% polyester brushed tricot. 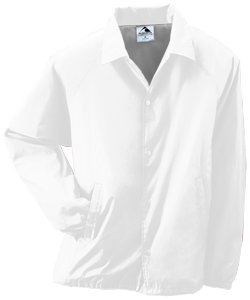 Raglan sleeves, elastic cuffs, open bottom. Snap front. Reinforced slash front pockets. Machine washable. Sizes: S-5XL. Colors: Black, Navy (Discontinued. Limited Quantities), Red (Discontinued. Limited Quantities), Royal (Discontinued. Limited Quantities). S-3XL: White, Brown*, Columbia Blue*, Dark Green, Gold*, Kelly, Light Pink, Maroon, Orange*, Purple*. *Colors ship from Grovetown, GA.